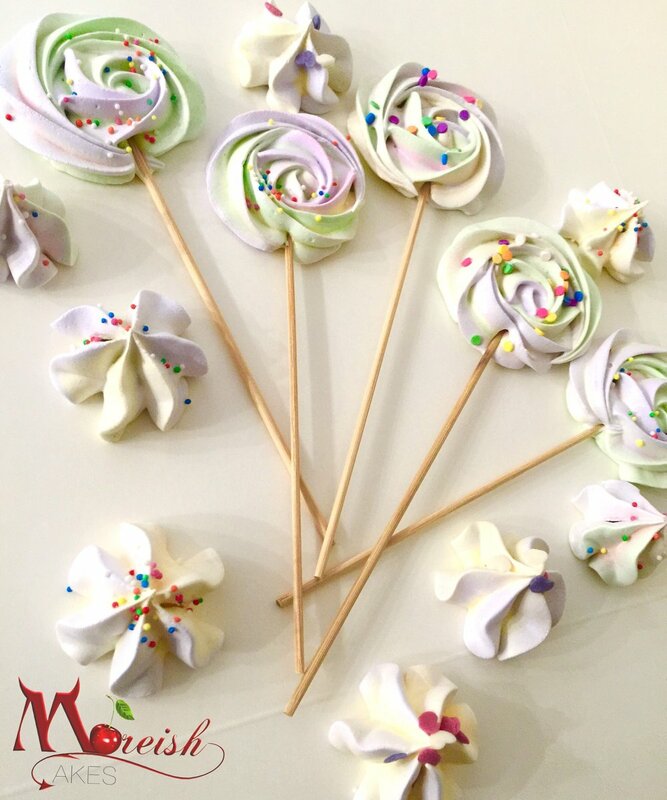 Join me at Lollipops Cake Supplies in Brisbane on May 5th at 6.30pm for a special demonstration - my Unicorn Meringue Pops! When I first posted these cuties on my facebook back early 2017, I had no idea of what was about to occur.... 2 weeks later, over 500k views, 5000+ likes and over 500 shares these little pops took my little page global. I was seeing them everywhere! Want to know all the secrets? Click here to book online today via the Lollipops website to secure your spot. As this class is a demonstration only and at the price it's on for it will book out fast, so please get in quick to avoid disappointment as I will only run 1 class for it. If you have any questions please contact us, or message below and we will come back to you as soon as possible. Check out the photos below of these gorgeous and delcious treats!